Crisps are not a product known for their constant innovation. In fact, recent YouGov polling shows there is genuine resistance to new flavours being introduced, with around three in ten (29%) and a fifth (20%) believing there are enough flavours already. Against this backdrop, it may seem odd that a crisp manufacturer would want to base an entire advertising campaign around introducing a new flavour to the high streets. However, throughout this year, this is exactly what Walkers has done with its “Do Us A Flavour” campaign. It put six new flavours to the public: hot dog with tomato ketchup, cheesy beans on toast, pulled pork in a sticky BBQ sauce, sizzling steak fajita, chip shop chicken curry, and ranch raccoon. Adverts for the new snacks were unveiled on 8 August and showed Gary Lineker asking the public to undertake blind taste tests on the new flavours. But given Britain’s resistance to challenging the potato snack status quo, could the campaign be a success? Looking across a range of metrics on YouGov’s BrandIndex, we can see that it has been. 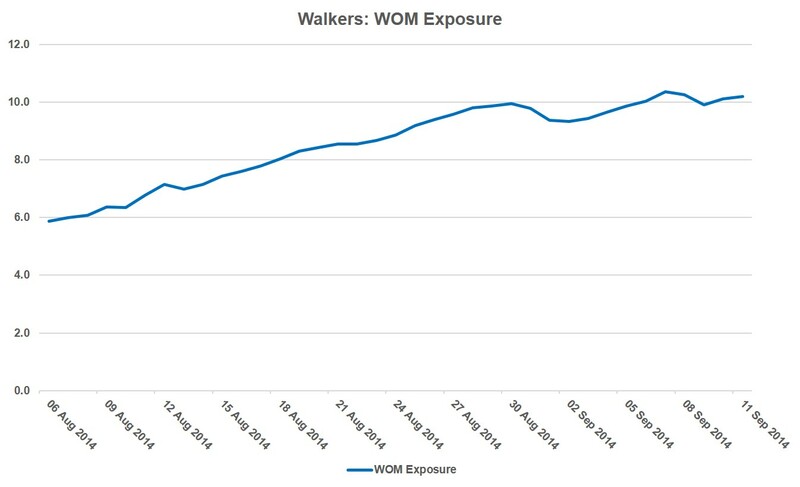 Walkers’ Ad Awareness score, that measures whether people have seen the brand’s advertisement in the past two weeks, showed a sizable increase when the adverts launched. In the month after 8 August, the number of people who remember seeing a Walkers ad rose by ten percentage points from 17% to 27%, indicating that the advert stuck in the minds of consumers. As well as sticking in people’s minds and increasing chatter around the brand, the “Do Us A Flavour” spots seem to have lifted sales. Walkers’ Current Customer score, which asks whether people have purchased a brand’s product in the last month, increased by three percentage points in the first month of the campaign. As well as being remembered by the public, “Do Us A Flavour” has also made people talk about Walkers. Its Word of Mouth Exposure score, that measures whether people have talked about the brand with friends and family in the past two weeks increased too, from 6% to 10%. As a campaign to boost sales, increase awareness and get people talking about Walkers, “Do Us A Flavour” has clearly hit the sweet spot among consumers. However, whether any of the new flavours will become standard crisp flavours to sit alongside classics such as salt and vinegar and ready salted.